Published November 1, 2018 4:06 PM at 950 × 1267 in Every Dawg Should Have His Day, Right? 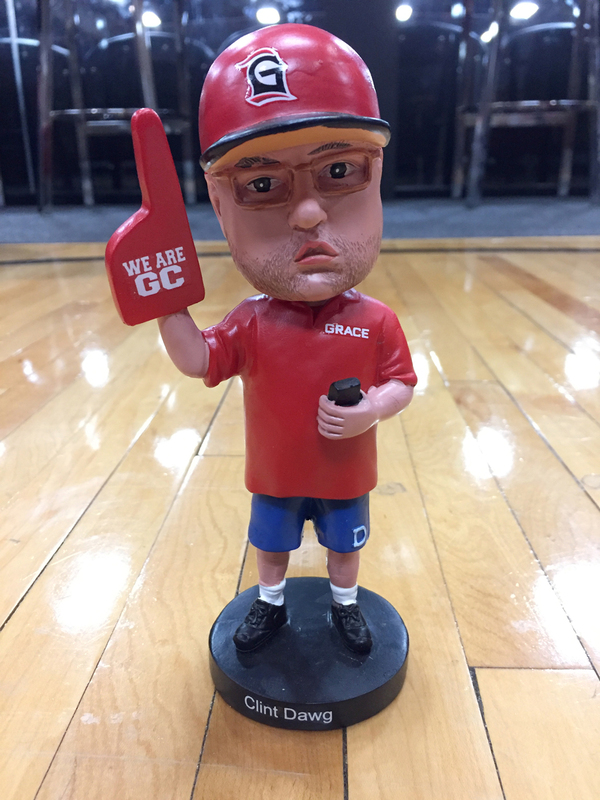 The Clint Johnson bobblehead equipped with Duke shorts, the Grace No. 1 foam hand and his token Grace hat.